Sage Lewis says he wants time to work with neighbors and the city. Advocates for Second Chance Village cheered and elebrated the announcement that the Akron Planning Commission would delay a vote on the tent city’s future until next month. 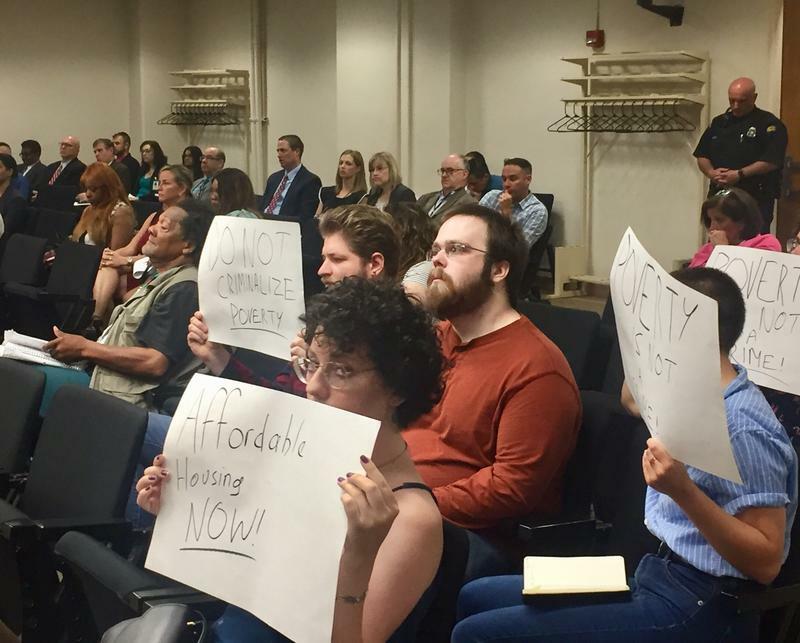 An overflow crowd mostly of supporters had spent more than an hour arguing that the encampment – which is operating illegally – is the only option left for about four-dozen people. 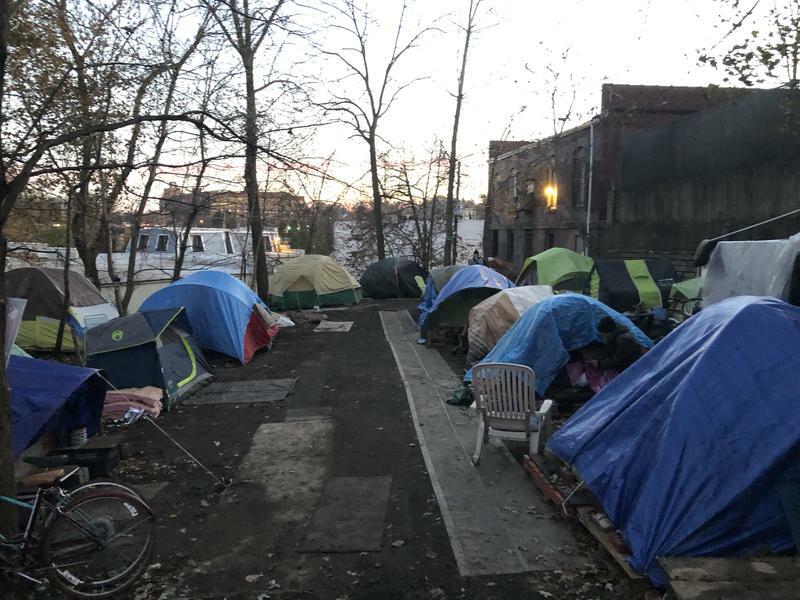 Sage Lewis – who owns the property and set up the tent city about a year and a half ago – said he doesn’t see the project as a long-term solution, which is why he wanted the delay. Akron spokeswoman Ellen Lander Nischt says the city has been trying to find solutions, including giving its support for the adjacent building Lewis operates as a kind of homeless service center. She says Lewis has been offered a former battered women’s shelter in the area for sleeping quarters The tent city has been operating for about a year-and-a-half. Neighbors complain the tent city is a nuisance that attracts crime and other problems to the area. Second Chance Village, a tent community for homeless people in Akron, has been threatened with closure by the city. Residents say they'd rather live on the streets than go to a homeless shelter, and now a group of high school students in Akron has created a film about the village and its struggles. 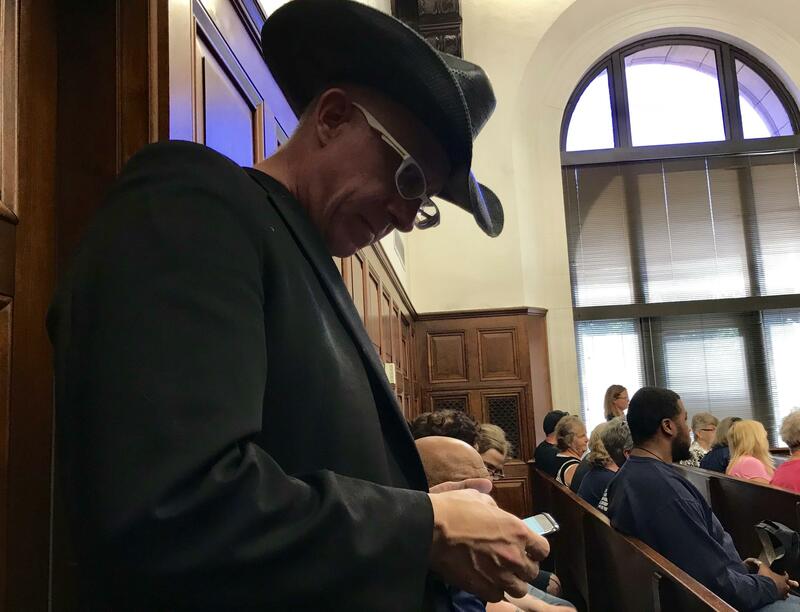 The owner of a homeless encampment at odds with Akron zoning laws has scrapped plans to try to bring tiny homes to the property.